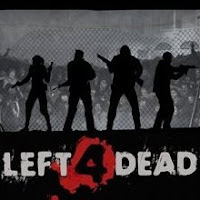 Left 4 Dead is one of the most entertaining multiplayer games currently in my console and I’ve logged some serious hours on it. For those of you who love this game but find that you’re itching for some new content mark April 21st on your calendar for that is the day Valve releases the new FREE DLC. The new content includes 2 new 4 vs 4 maps in the form of the Death Toll and Dead Air campaigns and a new Survival mode where survivors try to survive through multiple waves of the relentless undead. I for one can’t express my excitement for this.